Kehlani wanted to end her life. The R&B singer tried to kill herself Monday night because of hateful social media comments regarding her relationship with PARTYNEXTDOOR. The backlash began after PARTYNEXTDOOR posted a photo of what appeared to be him and Kehlani together in bed amidst rumors of her breakup with Cleveland Cavaliers star Kyrie Irving. 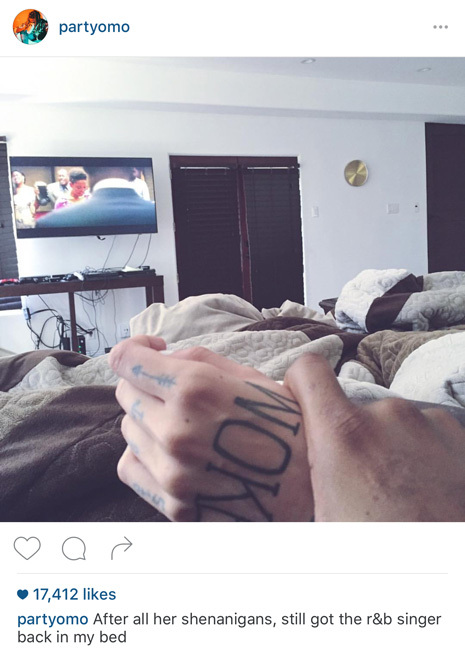 Kehlani began dating Irving following her split with PND last year. 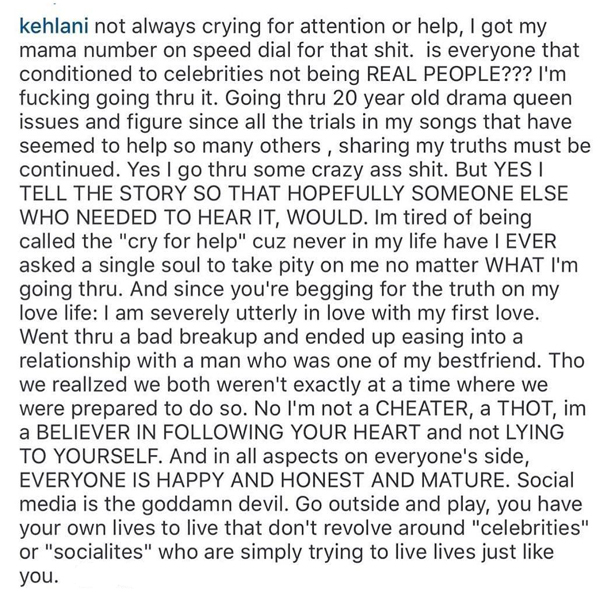 After PND posted the photo Kehlani was ripped apart on social media. Many accused her of cheating on Irving with PND. He even insinuated the cheating as well. It appears all the backlash made Kehlani crack under pressure, as she tried to commit suicide. In a since-deleted Instagram post, Kehlani denied cheating on Irving and revealed that she tried to end her life. 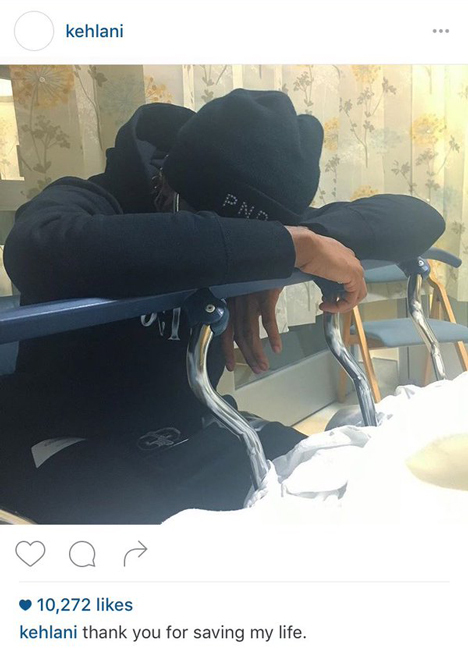 Kehlani shared another photo of PARTYNEXTDOOR by her bedside at the hospital and credited him for saving her life. “Thank you for saving my life,” she wrote. Kehlani also fired back at her haters on social media. She also proclaimed her love for PND, while confirming her breakup with Kyrie Irving. “And since you’re begging for the truth on my life: I am severely utterly in love with my first love,” she said. “Went thru a bad breakup and ended up easing into a relationship with a man who was one of my bestfriend.” Read her entire rant below. 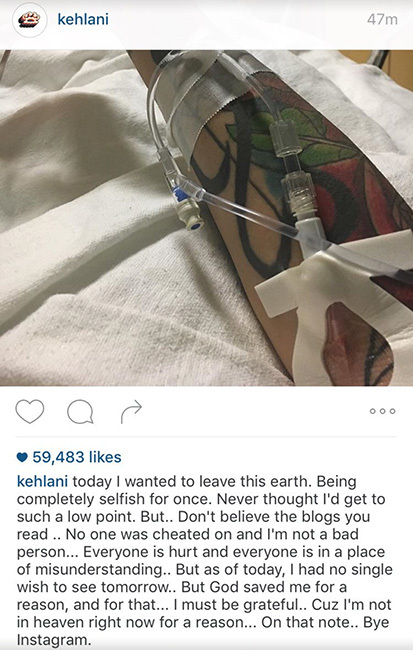 Hopefully, Kehlani will get the help she needs.